My parents have been visiting Australia very, very frequently in recent years. So much so, in fact, that they're now the ones introducing me to places to eat. Bundo Raya, a modest and friendly little family-run Indonesian restaurant which serves up tasty regional Padang food, (9/176 Commercial Rd, Prahran) is one of those places. We've been there for lunch a few times now, and we always order from the daily bain marie offerings. 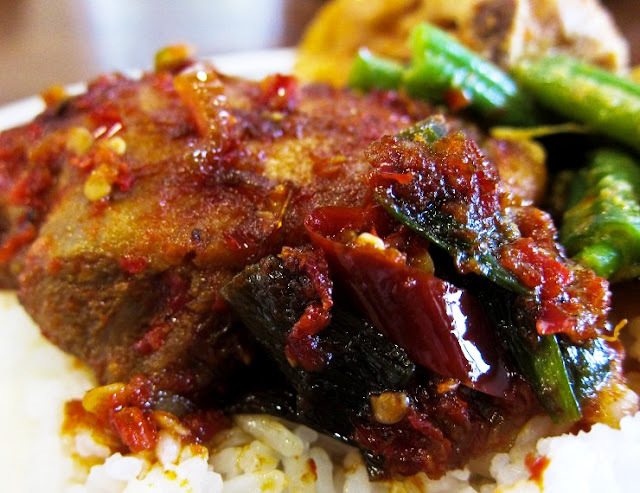 At the moment, $10 gets you a plate of rice with two meaty selections and one vegetable dish. They also have a set menu where you can order nasi goreng, mie goreng, bakso padang, sate padang, and soto padang, just to mention a few. So far, we've only tried the gado-gado from that menu, or maybe it was the ketoprak, but we weren't a fan - the sweet and salty peanut sauce, for us, lacked richness and complexity, and the crackers on top were alarmingly pink. We're definitely still keen on trying the other menu items, though! this was either gado gado, or ketoprak. Meanwhile, the bain marie items have yet to fail us. 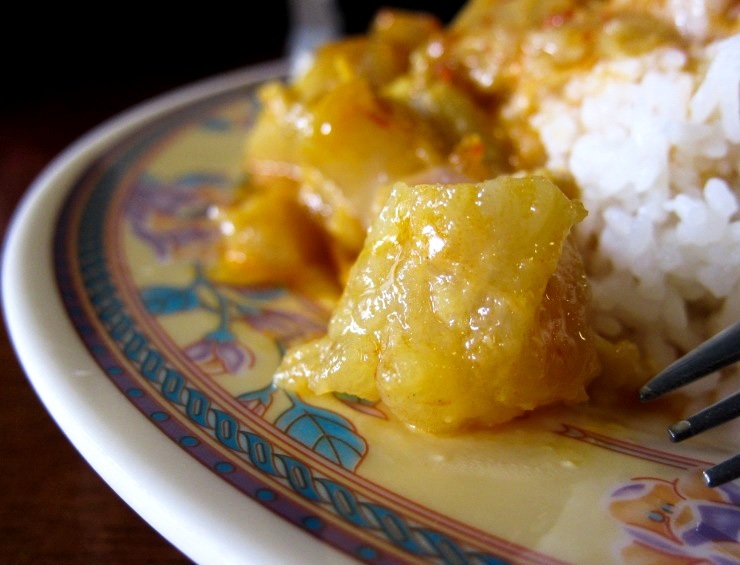 The home-style methods do occasionally cause a little inconsistency - for example, the curry chicken, which we frequently order, has ranged, at times, from being slightly oversalted to exuding absolute perfection in a glorious harmony of spices. But overall, we've always enjoyed our meals and found them to be great value. Here's a little snapshot of what we've had this year... P.S. I'm not tremendously familiar with Indonesian food, and the bain marie items are not labelled, so I've given them my very simple best guesses. If anyone knows the correct or traditional names of the dishes featured here, please do let me know! Curry chicken. Green beans with tempeh (a traditional fermented soy product). lovely curry chicken, and green beans with tempeh. 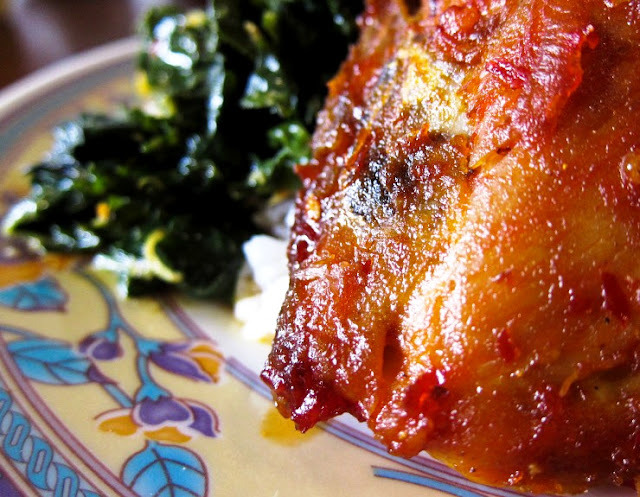 Another type of sambal chicken, and some sort of kale curry. tender, chewy beef tendons in curry sauce. Oh, and for some extra heat, don't forget to help yourself to their deliciously spicy sambal ijo / sambal lado mudo, a green chilli sambal popular in Padang cuisine, on the side of the counter. That's the good stuff, right there. Such fascinating cuisine, and so different from anything I've ever experienced. I'm glad you addressed those alarmingly pink crackers, I was having fun imagining what they could be, but didn't come up with much aside from watermelon. Which would have been gross. Ha, yes, I'm a little wary about neon-coloured stuff. I love indonesian food, I was traveling around Indonesia a couple of years ago and I loved each meal. This dishes on your pictures look simply delicious. Looks like a good place to eat. Oh, I can just imagine how enjoyable it would be, to eat in Indonesia! Unexplored territory to me as well, both by cuisine and by suburb! Looks very home cooked, I likey! Yes, very very home-cooked in style! Sounds so good! That first sambal chicken looks like my idea of heaven. Awww no. I hope another fabulous Indonesian restaurant opens up near you. Omg AMAZING stuff!! And it is funny how your parents are showing you places to eat haha. This is one of those places that I enjoy eating most. Exotic Asian flavours with generous servings of rice, for a cheap price haha! Will def check out this place next time I'm in the area. We should totally catch up then so you can show me around all the great places in your "hood" haha! Haha! And yeah, the sambal chicken is pretty delicious! How cool are your parent that they are showing you the places to go! Love it. This food looks lovely, I don't know of many Indonesian restaurants here in Sydney but I would love to go to one.. They are very cool indeed! Indonesian food can be delicious, try a good place when you get the chance. I love everything sambal but yet to try the green kind. Is it made with green chilies? Which one is spicier? 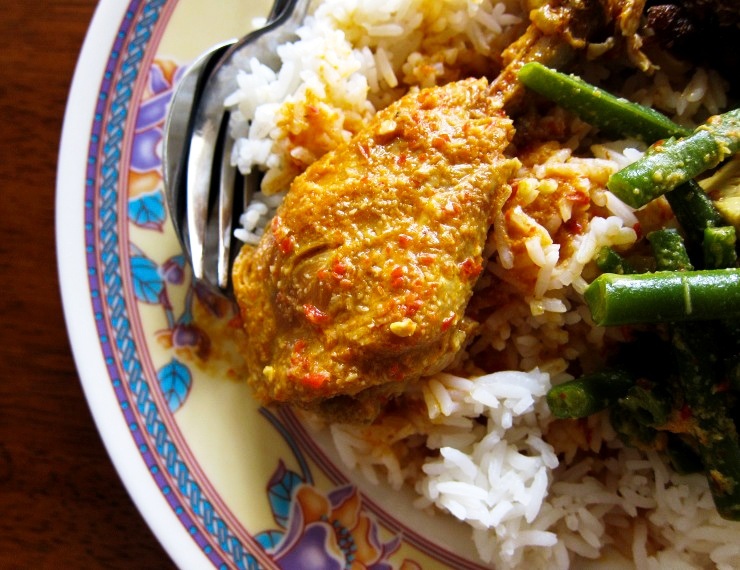 I found that Indonesian food and Malaysian food are quite similar to the taste. Is there a way to tell the difference? 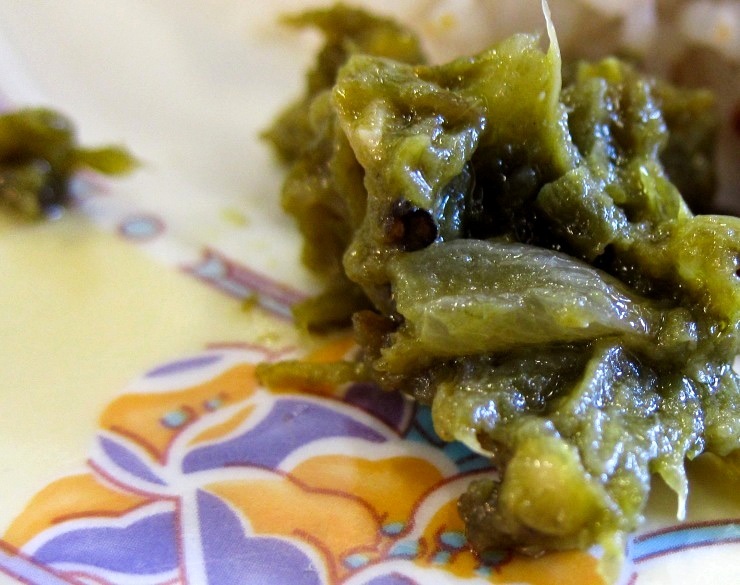 Yes, it's made with green chillies (and green tomatoes as well, I think). I think how spicy they are depends on the type of chillies used (more bird's eye chillies will make it hotter). As for the difference between Indonesian food and Malaysian food... I'm thinking perhaps Malaysian food has more Chinese and Indian influences, but I'm not familiar enough with Indonesian food to really compare. This all looks delicious! gorgeous photos for in a restaurant too! 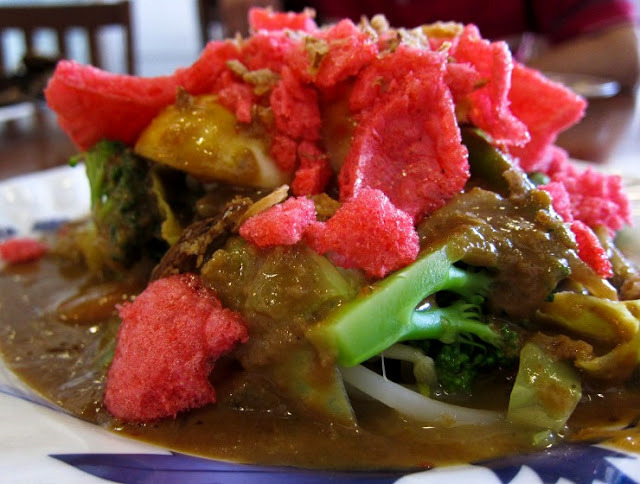 That dish is gado-gado, though I've never seen a gado-gado garnished with such bright pink crackers before! The food looks very appetizing and delicious. 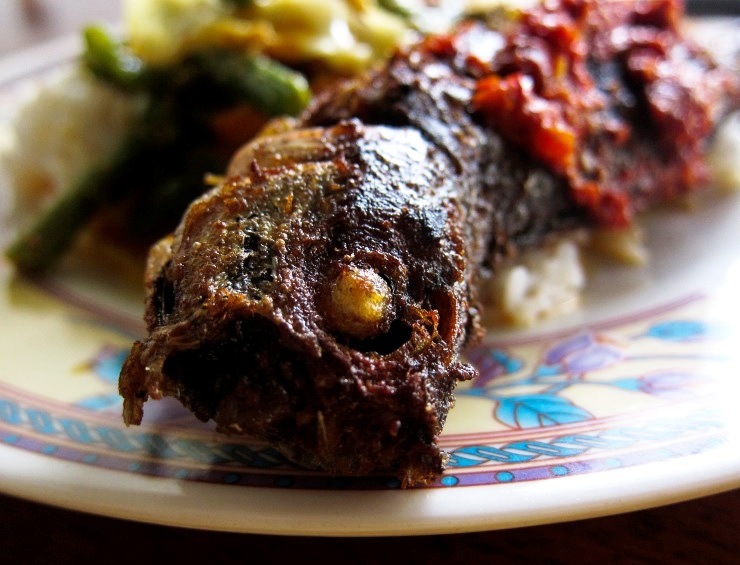 It is not easy to find good authentic padang Indonesian food where I am living. I don't think there are plenty around here, either, lucky there's this place at least! Wow ! This looks amazing.This is great do you have a catologue if so I would love one to share with friends and family. thank you. i love it.